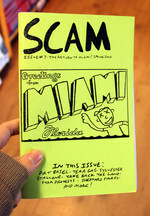 by Aaron Dactyl, Bill Daniel, Erica Dawn Lyle and Super Pack! 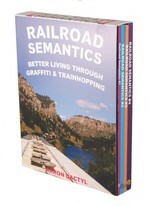 Study up on your freighthopping history, railroad graffiti interpretation, and hobo life of yesteryear and today. Bill Daniel's Mostly True (2nd edition) documents the rail art of "Bozo Texino" across a century along with other ephemera, photos, clippings, and informative, hair-raising stories (true and otherwise) of tramp lore. 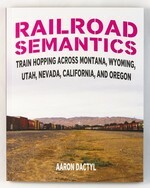 Then follow the rail-riding and rail yard adventures of Aaron Dactyl around the Pacific Northwest with the first four issues of his Railroad Semantics zine, which we've republished into satisfying little photo-filled books. 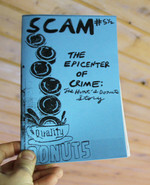 For dessert, treat yourself to Iggy Scam's freewheeling, unbelievable stories of life on and off the rails around Florida and beyond since the 1990s. 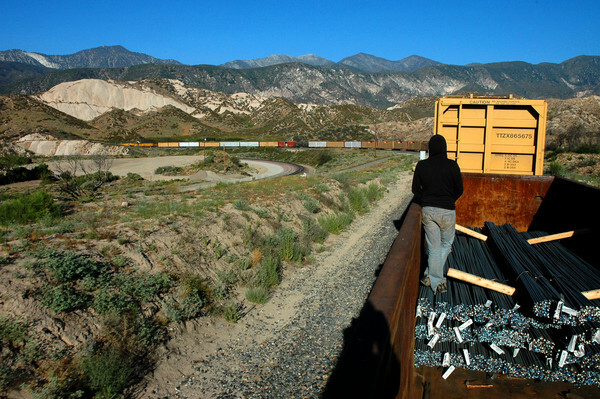 Not to be missed, whether you're reading in an armchair or a boxcar. Best of all, we made it all half-off! $15-$50 Superpack: We Choose for You!